Start playing this mixture of puzzle and simulation game today! 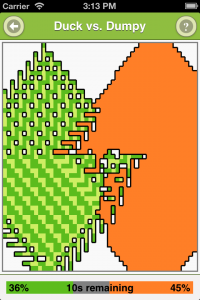 ‘Viruses in War’ is easy to learn – yet almost infinitive gene combinations are possible! 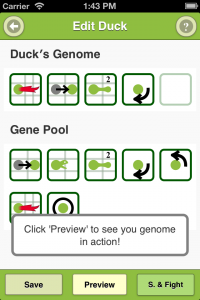 Find a strong gene combination by using the preview function and training opponents. Fight against friends and other people all over the world and challenge their viruses. Take revenge when your virus was beaten. Improve your virus and fight back! Advanced genes unlock after you defeated 6 opponents. We would be happy to receive your rating in the appsore, your comment below this article or via the ‘feedback’ button from the menu in the app.